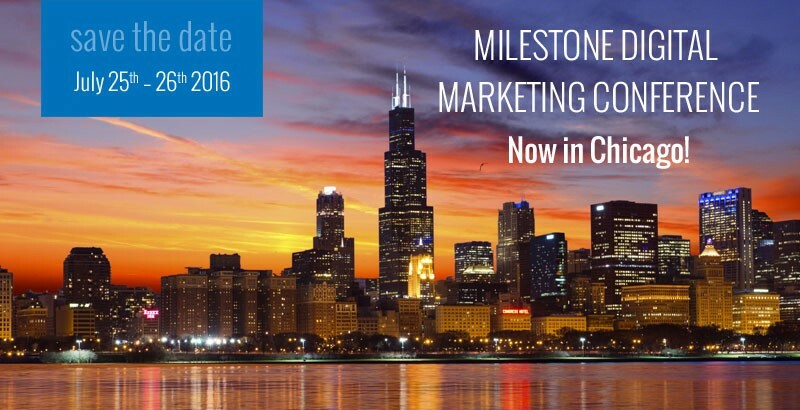 Santa Clara, CA, June 14, 2016 – Milestone announced that their 3rd Annual Digital Marketing Conference will be held in Chicago on July 25-26, 2016. Milestone’s Digital Marketing Conference brings together a select group of digital marketing executives from the hospitality and retail industry. Attendees will have the opportunity to learn digital and search strategies rarely discussed in public forums, and engage with co-attendees that represent some of the best-in-class practitioners of digital strategies. The conference offers the opportunity to network with leaders in hospitality and search, and includes a diverse group of attendees including hotel chains, independent and branded hotels, restaurants, and retailers. Attendees will get the opportunity to learn holistic strategies on SEO and CRO that drive presence, conversion and ROI. Conference speakers include, Bill Hunt, a widely recognized digital marketing expert on enterprise and global search engine marketing, who speaks globally on search and consumer behavior. Bill Hunt’s keynote session entitled “How the Customer Journey Drives Digital Marketing Innovation” will address how to optimize the user experience along the multi-touch digital customer. Other key speakers will include John Wallis, former Chief Marketing Officer of Hyatt Hotels and Resorts, and Benu Aggarwal, Founder and President of Milestone Internet, who speaks widely in search and digital marketing conferences. ADA Compliance: Why Should You Care? The Milestone Digital Conference will be held July 25-26, 2016 at the Hyatt Regency Chicago.